The following post is sponsored by Ellie. I received a free box of clothing in exchange for my opinions, They are, as always, my very own. I have way too much activewear in my closet. When I have to wear real clothes, I feel like I never have anything to choose from. 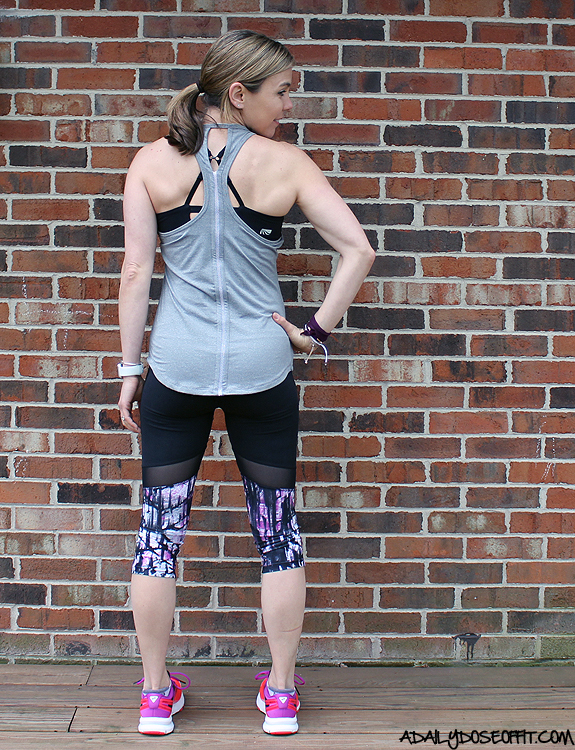 Remember this: I work at a gym (and a running store), so activewear is my professional uniform. But I live in a small town, so shopping is limited. If I find a cute pair of leggings, chances are good that I'll run into someone else wearing them because #tjmaxx and #target. That's all we have to choose from, basically. 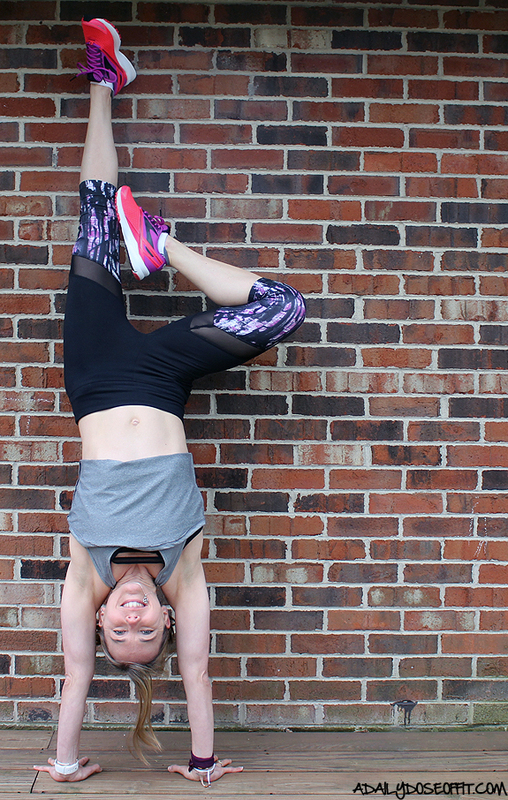 So when Ellie offered to partner with me, I said yes because #activewear. 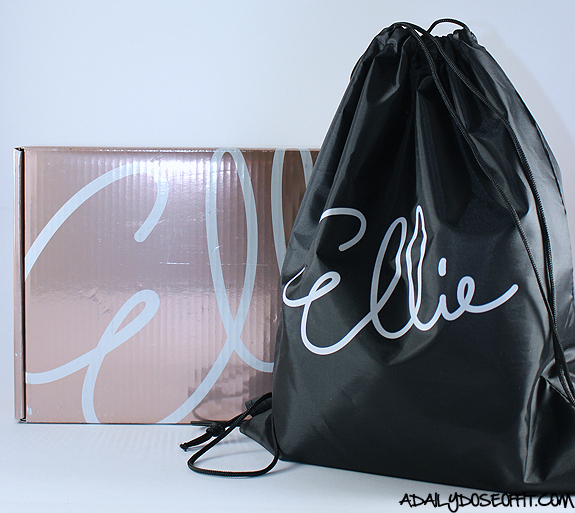 Ellie is a company that curates a monthly subscription box for fitness folks like you and me. Price? $49.95/month for five items. And yes, they make it really easy to adjust your subscription. Cancelling is easy, and you can also skip a month. If you don't, you'll get a box with a bag that contains one complete outfit and two accessories. I received the May box. This is not a surprise box, so if you see someone opening their box on Instagram while you wait for yours, you'll be getting what they got. This month, however, they're getting crafty and making a few swaps here and there. This goes along with May's theme: #SquadGoals and #DifferentButSame. Every month has a theme, which is super fun. I've had two Ellie boxes so far, and it looks like a majority of the pieces are coming from Marika right now, with the exception of the leggings above. That mesh, though! Anyone else obsessed with this trend? I think it's really fun in small doses. So, I don't really use an arm wallet when I run. I have a FlipBelt, but...who knows. This may come in handy some day. 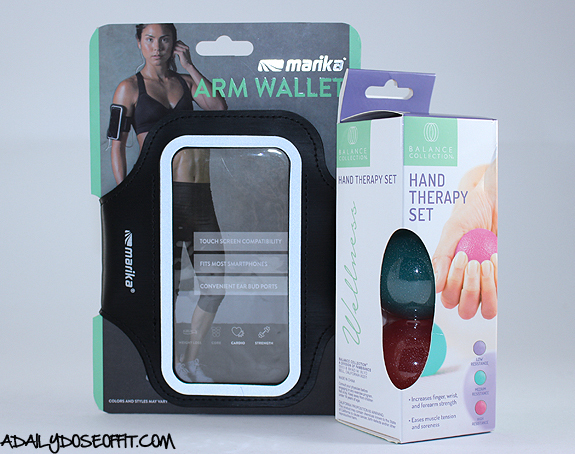 And speaking of hands, I'm really looking forward to using the hand therapy set. Probably after I type this post. I got a yoga mat towel in last month's box. And a water bottle. So the accessories are well-picked, too. Verdict? I like the box! I've done other fitness clothing subscription boxes and haven't been as satisfied. I don't like having to send items back that I don't want, and I don't like paying over $50 bucks for something I can't pick out myself. But $50 for an entire outfit (and then some)? That's a pretty good deal, yeah? Especially when it's a deal on stuff that's actually pretty great. 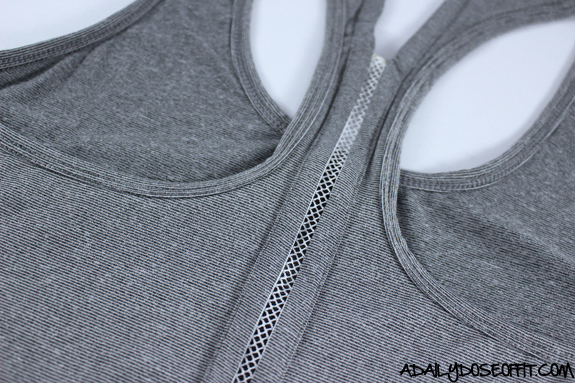 Question: Have any experience with fitness clothing subscription services? 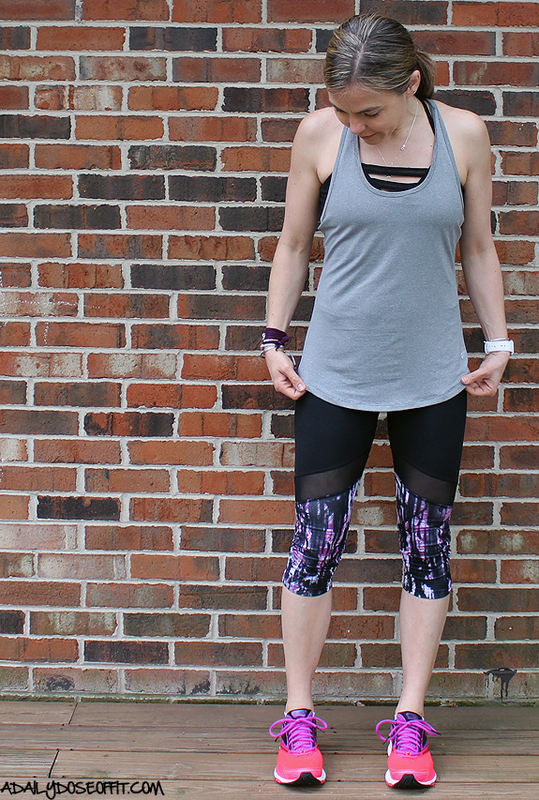 Do you like the mesh trend on leggings?